The Colony. Colony is an American science-fiction drama television series created by Carlton Cuse and Ryan J. Condal, starring Josh Holloway and Sarah Wayne Callies. A 10-episode first season premiered with an online preview release of the first episode on USA Network's website on December 15, 2015, following the launch of a game-like website to promote the show. The series had its broadcast premiere on USA Network on January 14, 2016. Taglines for the series used in promotional materials include "Behind the Wall" and "Life Under Occupation". On February 4, 2016, Colony was renewed for a second season by USA Network to return in 2017. Season 1 Episode 1 Pilot: When an outside force occupies LA, a former FBI agent and his wife are forced to make tough decisions. Episode 2 A Brave New World: As Will begins his first day as Proxy Snyder's inside man, Katie makes a secret commitment. Carlos suffers the consequences of Will's actions. Episode 3 98 Seconds: Katie makes a discovery when she embarks on her first mission with the Resistance. Will's search for Geronimo leads him into a dangerous situation. Episode 4 Blind Spot: Will continues to earn his colleague's respect but when his home comes under attack, everyone comes under suspect - even Katie. Episode 5 Geronimo: A revelation gives Proxy Snyder the chance to climb the Colony ladder. Meanwhile, Will starts to question Katie's loyalty. Episode 6 Yoknapatawpha: Allegiances are tested when Will and Katie find themselves trapped with Proxy Snyder. They also learn some shocking news about their son. Episode 7 Broussard: Will gets closer to uncovering the truth as he continues his hunt for the Resistance. Katie begins to feel cut off from both her family and her cell. Episode 8 In From the Cold: Quayle makes a costly error when he underestimates how far Will will go to protect his wife. Episode 9 Zero Day: Katie and Will are pushed further apart than ever when she makes a stand against his best-laid plans. Episode 10 Gateway: Katie and the Resistance take a valuable hostage, while Will races the clock to find his son. Great show, can't wait 'til next year for season 2. The Legend of Tarzan is an American action adventure film drawn upon the fictional character created by Edgar Rice Burroughs, scheduled for release in 2016. 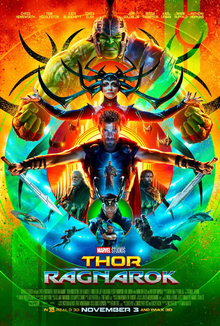 Directed by David Yates and written by Adam Cozad and Craig Brewer, its cast comprises Alexander Skarsgård in the title role, and Samuel L. Jackson, Margot Robbie, Djimon Hounsou and Christoph Waltz. 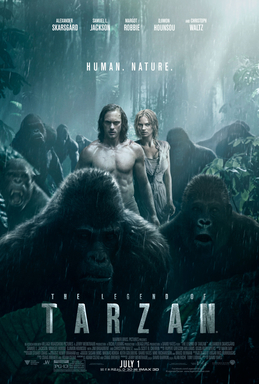 It has been years since the man once known as Tarzan (Alexander Skarsgård) left the jungles of Africa behind for a gentrified life in London as John Clayton III, Lord Greystoke, with his beloved wife, Jane Porter (Margot Robbie) at his side. Now, he has been invited back to the Congo to serve as a trade emissary of Parliament, unaware that he is a pawn in a deadly convergence of greed and revenge, masterminded by the corrupt Belgian Captain Léon Rom (Christoph Waltz).